Night Owl Paper Goods with their modern yet folksy design offers handmade letterpress cards and wooden gifts Made in the USA! 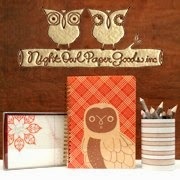 Inspired by nature, Night Owl Paper Goods seeks to produce eco friendly products for their consumers to delight in. 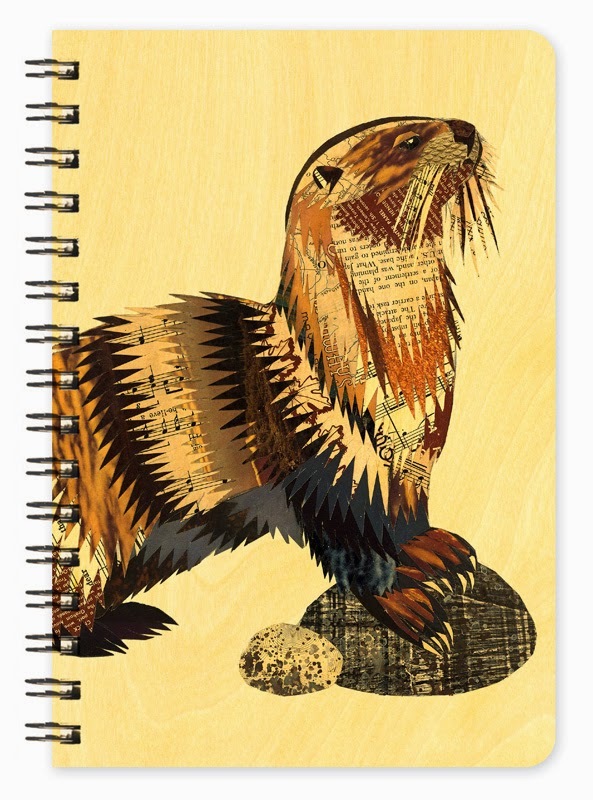 Their selection is wonderful from cards, to calendars, blotters & journals and gifts. There new collection, a collaboration with Dolan Geiman introduces a beautiful, nature inspired mixed media collection. This notebook is perfect size for those thoughts you don't want to forget. Keep it tucked in your purse, or on the night stand next to your bed. You are going to want others to see this beautiful piece. Eco friendly birch wood front and back covers, it measures 4 by 5 3/4. Interior paper is 100% post consumer recycled. Unlined paper, perfect for doodles and drawings as well. Bookmarks that won't bend when you use them! And an excellent way to get more of the Dolan Geiman collection! Made from sustainably harvested birch wood, the book mark measures 2 by 6. 5 inches. Gorgeous multi media Quail on the front, and a close up of details on the back. The collection contains some of the more unique animals such as a bobcat, woodpecker, red fox, big horn sheep, and porcupine along with some traditional ones such as an owl, jack rabbit and cardinal. Get the collection in great products like the above pocket notebook and bookmark, as well as cards and desk calendar. The entire Night Owl collection is just amazing. I actually just ordered a card for my upcoming children's birthdays. I think the wood card is going to be something they will treasure forever. You could even frame it and showcase it for display. They also do custom work on wood for your announcements of invitations! Be sure to check out Night Owl Paper on these social media sites.